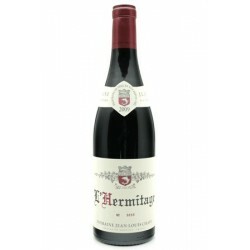 Chave Hermitage is one of the greatest wines of the appellation, and in the eyes of many I have no doubt that it is seen as the top wine. The family firm has been passed from father to son since its establishment in 1481, through numerous generations, and currently it is under the direction of University of California Davis graduate Jean Louis Chave, although his father Gerard is still on the scene. The Chave family are based in a small village not far from Cornas, on the right bank of the Rhone. The heart of the operation, however, is across the river, on the hill of Hermitage. Here Chave owns vines in nine of the eighteen vineyards that cover the hill, the most significant of which is a 2 ha plot in Les Bessards, the large vineyard on the granite slopes at the western end. 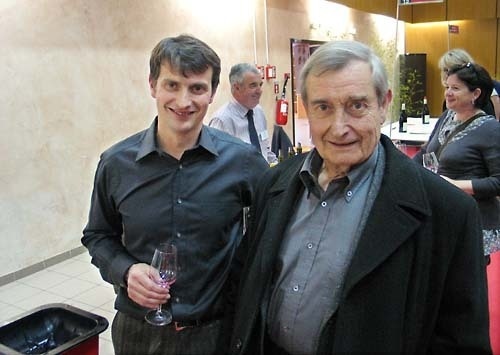 Jean Louis Chave, and his father from whom he is gradually taking control, believes that the rich variety of terroirs to be found on the hill are vital in blending a wine which has all of the features they desire, including finesse, structure and complexity. Those plots which do not meet the Chave requirements simply aren't used. One such plot is in Les Vercandières, a thin strip of vineyard at the base of Les Bessards, which they use as a vegetable patch! Jean-Louis Chave, 41 , is the latest family member to make the wines at the venerable Domaine Jean-Louis Chave, long famous for its reds and whites from Hermitage. He rarely leaves his domaine to travel, but will be in New York this week for Wine Spectator's 2009 Wine Experience.